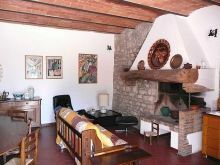 Il Cascino self-catering holiday apartments are located in a beautiful former Tuscan farmhouse and furnished in traditional style with all modern comforts, including a large swimming pool. Our apartments accommodate from 2 to 6 persons, or more when ajoining apartments are rented together. 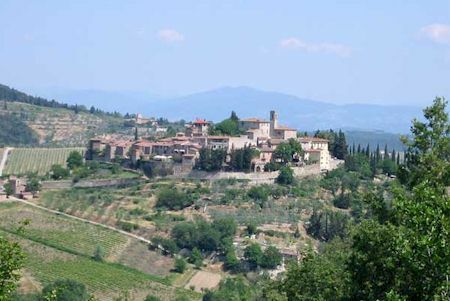 Our vacation accommodations are completely surrounded by a stand of cypress trees providing privacy and tranquility within a short distance of Greve in Chianti, the Chianti Classico market town. Florence and Sienna are about an hour away by car or bus. Every apartment has its own outside space with covered terrace or gazebo, table and chairs. 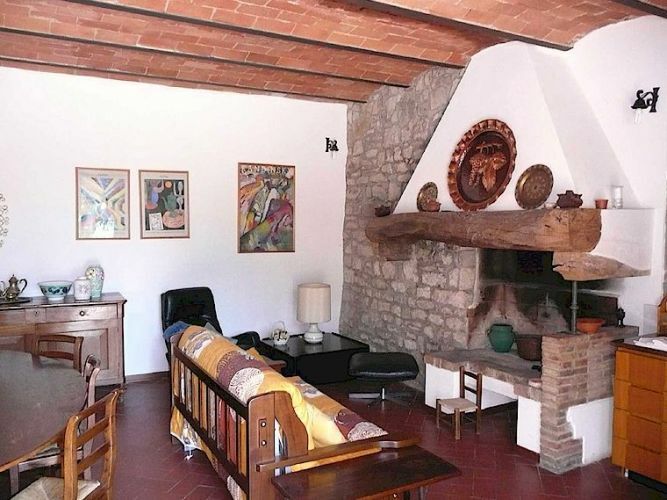 Il Cascino a Montefioralle is group of completely-renovated, ancient farm buildings located less than 3 km from the centre of Greve in Chianti, and just 700 m from the beautiful fortified village of Montefioralle. 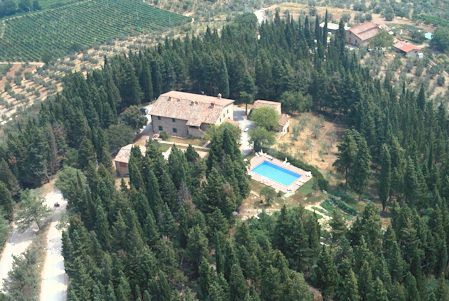 Il Cascino is thus ideally located for visiting the Chianti Classico wine zone, the most famous part of Tuscany, with its historical wine cellars, ancient castles, evocative countryside and antique villages. Our region is famous throughout the world for its mild climate, beautiful countryside, arts, gastronomy and general sensation of well-being. 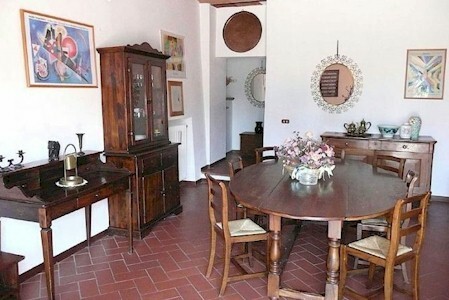 Shops, banks, bicycle hire, Post Office and public transport are available in Greve, there is a restaurant within walking distance in Montefioralle, and golf at Ugolino (15 km). Il Cascino is about 20 km from Florence and about 30 km from Sienna, and is also a perfect base from which to visit the other famous art cities of Tuscany such as San Gimignano, Arezzo, Lucca etc. 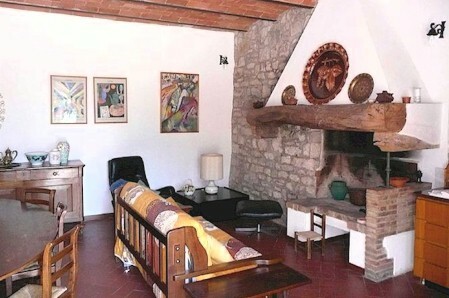 The farm buildings are all made of stone and were renovated using traditional materials (terracotta, chestnut wood, local stone) and divided into a number of apartments furnished in Tuscan style, providing a warm and authentic atmosphere. One of the apartments is occupied from time to time by the owner. 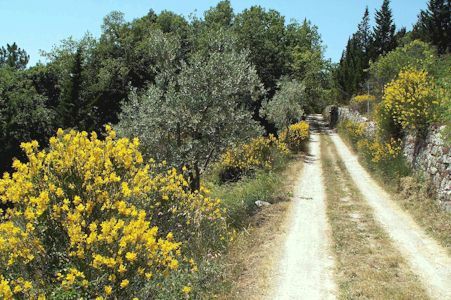 The large garden, which is at the disposal of our guests, is surrounded by a cypress forest and olive groves, and decorated with terracotta pots of shrubs and flowering plants. The swimming pool (6 x 12 m) is reserved exclusively for the use of our guests. Il Cascino is a holiday location perfectly adapted to lovers of privacy and tranquility. Click here for the details of our apartments and the prices.